Enroll your children for Faith Formation Classes and Sacrament Preparation. 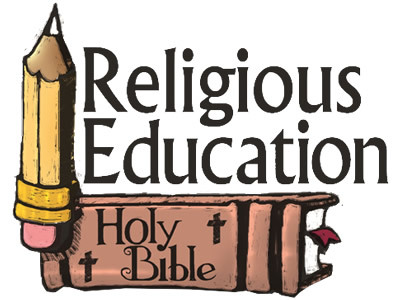 Provides religious education to help prepare for the Sacraments. The Elementary Religious Education program is staffed by lay catechists who share their faith with others in order to guide the child&apos;s growth. Faith formation is catechesis (teaching the faith) which aims to deepen people’s contact with Jesus Christ via educational and enrichment opportunities. Designed to touch the intellect as well as the heart, the goal is spiritual growth in which people live and experience a more Christ-centered life . *You will need to ask the catechist what pages were done while you were absent and have those pages to reflect and complete the lesson. * Do the "At home edition" and complete the interactive session review. Download the form(right tab) and bring to the CCE Building or office. You can also pick up registration forms in the CCE Building, Parish Office, Parish Hall, or the Back of the Church. Anyone who may want to help with the CCE program needs to attend a VIRTUS training. Please register on the ArchDiocese website.